Our mini-units cover a few days of content that you already teach within your standards for each subject area. But, they contain huge bonuses that come along with being integrated. The best part is that we provide detailed lesson plans for each individual teacher. So all you have to do is insert your particular unit into your normal classroom routine. It fits right into your subject-based classroom in your own period of class time. But as the students travel from room to room, they get the full integrated experience! It's all prepped and set up to be a win-win for the teachers and the students! 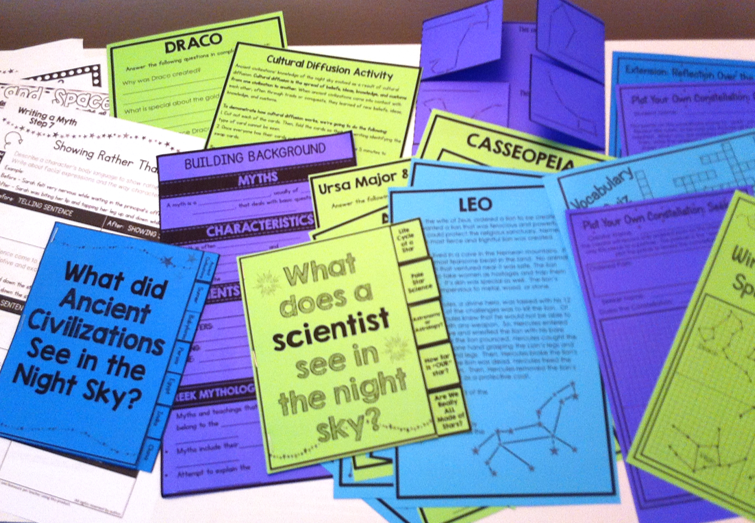 This super-cool unit is all about stars in the night sky, but with a twist that fits each subject area! Students plot constellations as points, learn about the history of what ancient civilizations saw in the night sky, study the science of stars & astronomy, and write their own myths! This unit fascinates students, and we've built in some really cool connections between the subject areas. 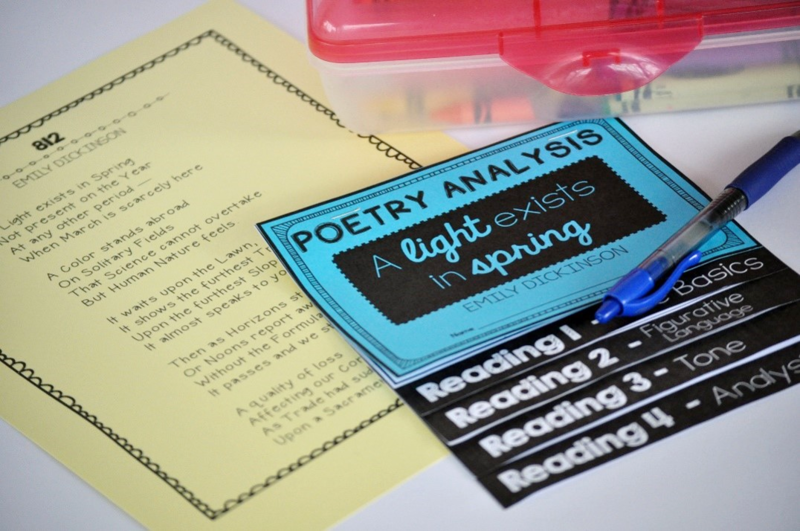 BONUS: This unit also comes with a culminating activity that brings it all together to fully integrate! What did ancient civilizations see in the night sky? In History class, students draw connections between the ancient civilizations of Sumer, Babylon, Persia, India, China, and Greece by focusing on something they all had in common: a desire to understand the objects they saw in the night sky. ​mathematicians see in the night sky? This unit introduces plotting points from ordered pairs, identifing quadrants & axes, reflecting points, finding horizontal and vertical lengths, and writing coordinates. Students will design their own constellation and plot it. Students learn about our closest star, the sun, as well as the stars in our night sky. They will ponder questions such as “Are we really all made of stars?” and be challenged to read and interpret new information as they move from one station to the next. ​storyteller see in the night sky? This unit explores the critical components of myths, Greek mythology, and constellations Students analyze 5 Greek myths about constellations. Then, they will use the constellation they created in Math to write a myth explaining its origin in the sky. In each subject area, students meet a different woman who has impacted that particular field of study. They dive into the concepts that she built upon (which we have formatted to fit the middle school learning objectives of each subject!) and participate in fun and engaging learning activities. In the bonus culminating activity, students put together a paper quilt to bring all the information from each classroom together. In the Math lesson, students dive into Inverse Operations, Mathematics in Crypotgraphy, and even get an Early Intro to Functions (input & output)! Students use flip books to practice sequencing, finding the main idea, cause and effect, word meaning & usage, figurative language, tone, and theme. 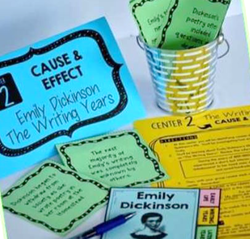 Students take a hike with Rachel Carson, work through a timeline, complete a biomagnification foldable booklet, and more in this exploration of ecology. Using a detective notebook, students find clues hidden in the classroom to explore Cleopatra’s death and her connection to the Roman Empire.